Wesley So is set to face Gata Kamsky and Daniel Naroditsky in the last two rounds, while Akobian is playing against Ray Robson and Hikaru Nakamura. Replay all the games in US Chess Championship 2017. Congrats for a round 9 win. 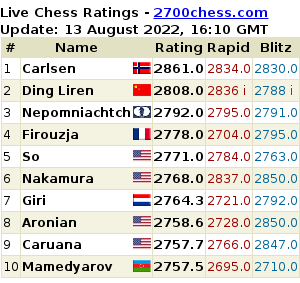 Go Wesley So. Fingers crossed u be champion or co champion. Just win 1 game more and a draw. . .